Believe it or not, but your site doesn’t just show up on search engines just because you publish it online. Sure, one or two pages may get listed, but in order to really take advantage of search engines, you need to provide them with a sitemap? Don’t know how to make one? 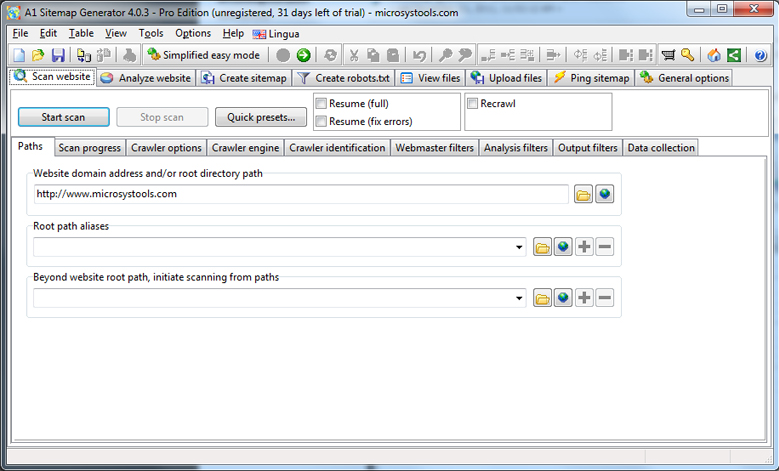 Then just get a copy of today’s discount software promotion, A1 Sitemap Generator! A1 Sitemap Generator lets you build HTML and XML sitemaps to help search engines effectively index and rank all of the pages in your website. With A1 Sitemap Generator, Google, Yahoo, and Bing will be able to crawl through and list your site contents accurately, leading to more hits on your stuff and faster updates in search engines. Controlling how your website is indexed is also about determining the importance of pages and avoiding duplicate content. With A1 Sitemap Generator, this couldn't be easier! Additionally, you can create customized XML sitemaps (news, mobile, image, video, etc) which can help you get even more content indexed. A1 Sitemap Generator also supports command line usage which makes it possible to schedule tasks at any hour! Looking to get rolling quick? 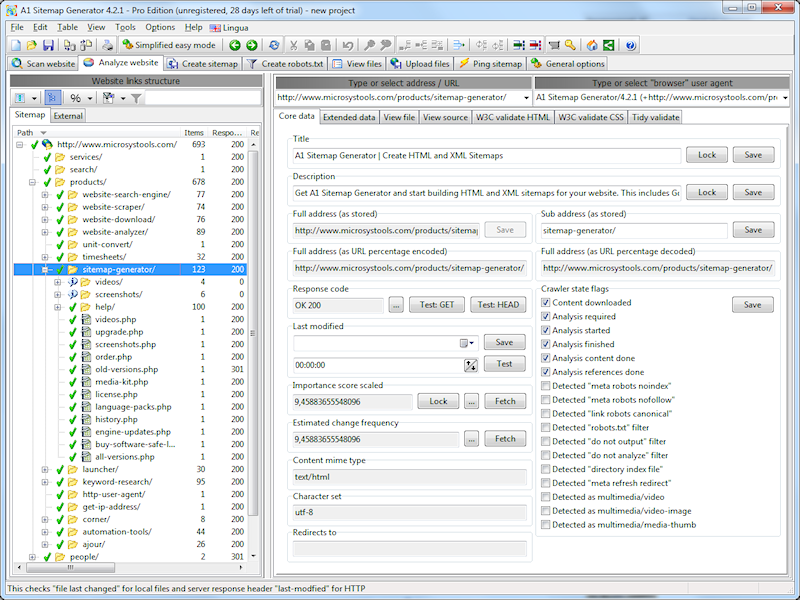 Make sure to take a look at the A1 Sitemap Generator Getting Started help section. Recognizes duplicate URLs such as "example/" + "example/index.php" and "example/test" versus "example/test/"
After you purchase A1 Sitemap Generator 9.x Pro edition it may be used indefinitely. 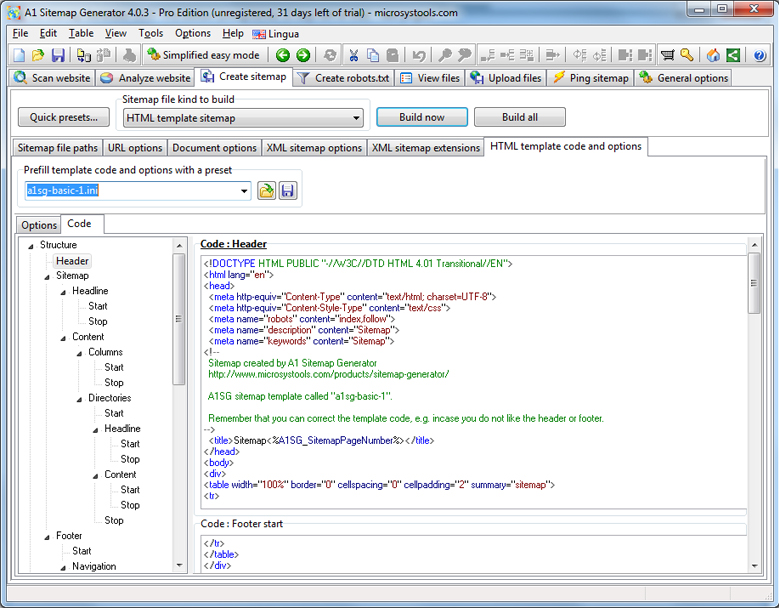 A1 Sitemap Generator 9.x Pro edition is licensed per user, so if more people are going to use A1 Sitemap Generator 9.x Pro edition you will need to purchase additional copies. 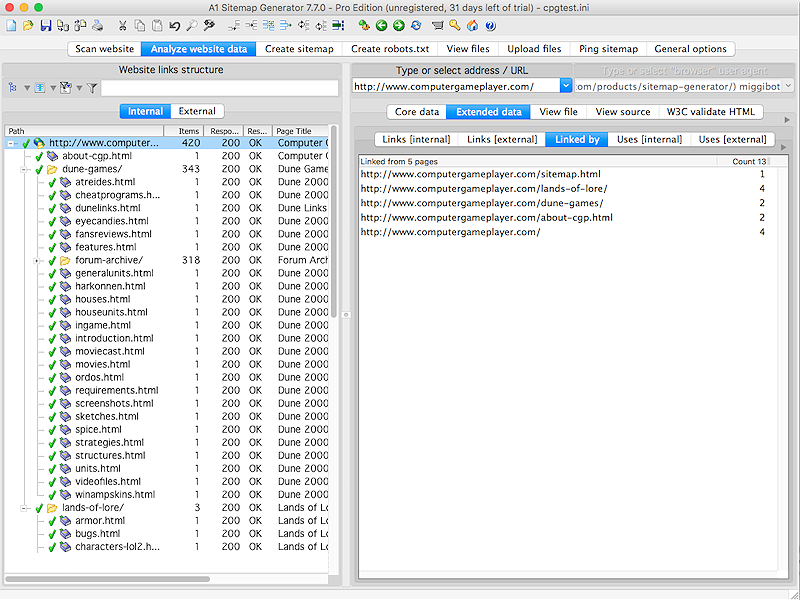 Each license allows installation on all owned computers, but A1 Sitemap Generator 9.x Pro edition may not be used at exactly the same time on each of them. Upgrades to future versions of the software will be free for 12 months. For versions after that, upgrades will require additional payment, which will not be discounted. “We usually use sitemappers built into our development software, but lately we've needed to create more and more sitemaps for customers who already have sites built, but want better SEO. I went searching over the past week for the best software to do that. Some programs were limited in scope, and some demos wouldn't even completely map a simple six page site. Then I found Microsys. After demoing it for a day I knew it was the one to purchase. Not only does it have more options and functionality, it also works flawlessly. While demoing Sitemap Generator, I also came across Website Download. I'd tried various site download utilities in the past, but was never pleased with the results. My first test with WD was on one of my forum sites, which usually give site downloaders a lot of problems. WD, again, not only worked flawlessly, but the resulting download was much better than I'd hoped for. Both these packages are incredibly well written applications, and I'm extremely pleased with both. I haven't had to make use of tech support yet, but I see here on the forums that they are very responsive to customers. It's refreshing to find a company that produces a great product and also supports it well.